In its tenth year, Harvard’s Advanced Leadership Initiative recruits its most diverse cohort to help create social change across the globe. Fourteen years ago, Professors Rosabeth Moss Kanter, Rakesh Khurana, and Nitin Nohria of Harvard University identified a need for a third stage of higher education—a phase of learning that moved beyond formal education and built on the experience of a successful career. They recognized that many leaders approach retirement age with energy and a desire to give back to society yet are unsure of the most effective way to do so or how to transition to a new area of focus. Thus, the Harvard Advanced Leadership Initiative (ALI) launched in January 2009. Kanter assembled a faculty board from across Harvard’s different disciplines to develop the program. Their goal was to attract leaders from across the country and around the world who already possessed the mind-set and skills necessary for success, and to give them access to the wealth of knowledge and expertise at Harvard. Their hope was to equip those leaders, help them identify their passions, and prepare them to return to their communities as change-makers. Ten years later, ALI is still a place for leaders to reflect on their values and goals, as well as develop new skills around collaboration and complex social change. 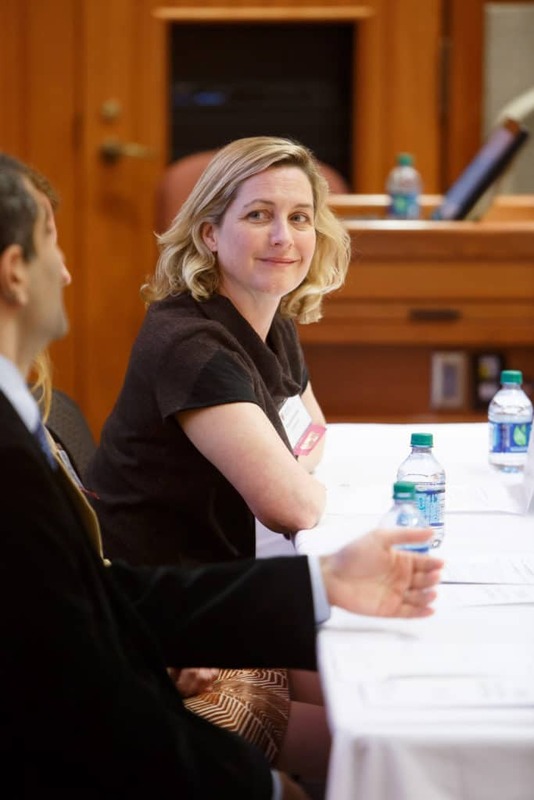 Kanter has moved on from her role as faculty chair and Meredith B. Rosenthal, professor of health economics and policy at Harvard’s T.H. Chan School of Public Health, took up that mantle in January, guiding ALI through its first leadership transition. While fellows share a commitment to social impact, their experiences are diverse. “In the same day, a fellow might have lunch with a design professor who is focused on urban planning, listen to a lecture on the latest data science about youth unemployment, and have productive conversations about political strategy on gun violence or women’s empowerment in the Middle East,” Rosenthal says. The person at the front of the room does not possess all the expertise; rather, it’s an intellectually invigorating, collaborative learning process through high-level conversation. Rosenthal is spending a great amount of time with the new 2019 cohort as they work through the core seminar series: Challenges and Opportunities in Advanced Leadership. “They have networks, high energy, know-how to run a business, and are committed to working just as hard over the next twenty years to create positive change in their communities,” she says. At ALI, the vision may be to gather leaders for an educational experience, but the mission is to inspire genuine and lasting social change around the world.